Shelter Labor was part excavation, part performance, part film installation, and a collaboration with artist Elizabeth Weinstein. 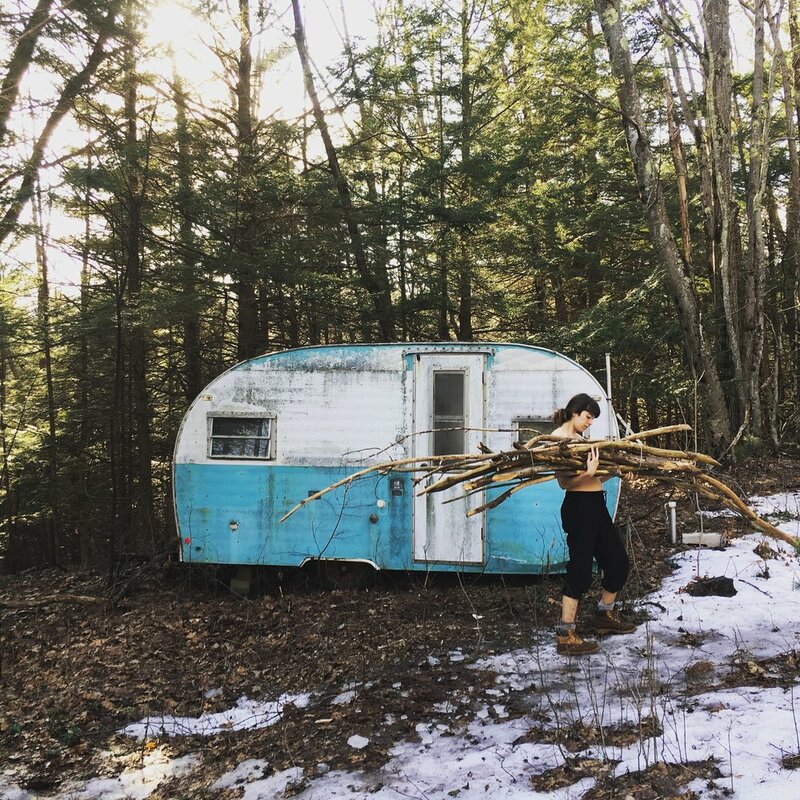 While cleaning out an abandoned trailer in the woods of western Massachusetts, we investigated themes of home-making, birthing, shelter and the performance of women's labor. Audience members were invited into the trailer at dusk for intimate screenings of project material and hemlock tea. February 2018.